According to ABC News, GOP front-runner Ben Carson is temporarily suspending his presidential campaign for two weeks to do further promotional events for his new book. 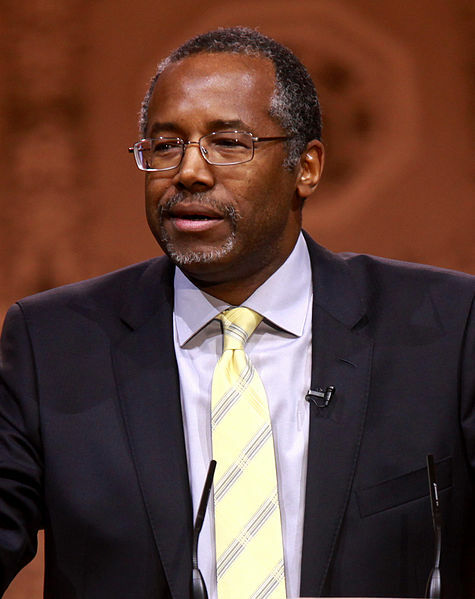 Carson’s campaign emphasized that the candidate has been careful to separate campaign events from the book tour for “A More Perfect Union,” Carson’s current book, in order to avoid the appearance of impropriety. While he will be “catching up” on campaign fundraising events this week, next week will begin a new swing for his book tour, taking him to Texas, Oklahoma, Missouri, Kansas, Nebraska and Iowa. After those two weeks, his campaign said, during the two subsequent weeks he will go back and forth between campaign events and book tour events. They added that he will be hosting or appearing at 20 campaign fundraising events during that period. The next public event Carson will be appearing at as a campaigner will be on Oct. 28, at the third major Republican Party debate. According to campaign spokesman Doug Watts, campaign staff won’t be traveling with Carson during his tour to avoid the appearance that Carson was using campaign funds to sell books.